The Anniversary to Commemorate the Civil Rights Demonstrations, Inc. (BKA, The 40th ACCORD) is a 501(c)3 non-profit organization envisioned in 2002, established in 2003, and incorporated in 2004. Our Mission is "Remembering, Recognizing, and Honoring all those who risked their lives to attain civil rights for all and celebrating St. Augustine's pivotal role in the Civil Rights Act of 1964." We are excited to introduce the 31 historic civil rights markers on the ACCORD Freedom Trail Project presented by The Northrop Grumman Corporation and one by ACCORD Member, Beth Levenbach of Lansdowne, PA.
ACCORD would like to extend our gratitude to The Northrop Grumman Corporation, Beth Levenbach, The Old Town Trolley, Photographer Shirley Williams-Collins, the St. Augustine RECORD, Flowers By Shirley, St. Paul AME Church, American Legion Post 194, The First Baptist Church, and EWLI for their continued support! Brochures for the Freedom Trail's self-guided tour are available at the St. Augustine Visitor Information Center in Downtown, St. Augustine, Florida. 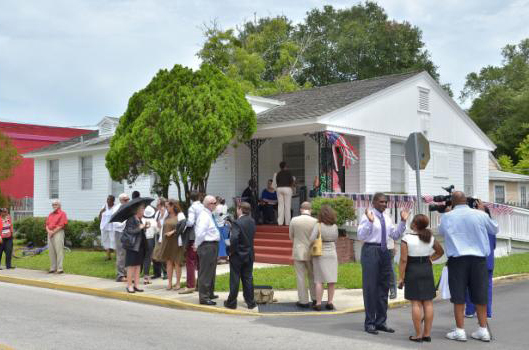 As of July 2, 2014, the ACCORD Civil Rights Museum located at 79 Bridge Street, St. Augustine, Florida is now open. Please call or text (904) 347-1382 to schedule an appointment. For more information on how you, your business, or your organization can get involved, send us an EMAIL today! We are always looking for new members, volunteers, and sponsors. Please click HERE for ACCORD meeting dates and times. All our welcome! 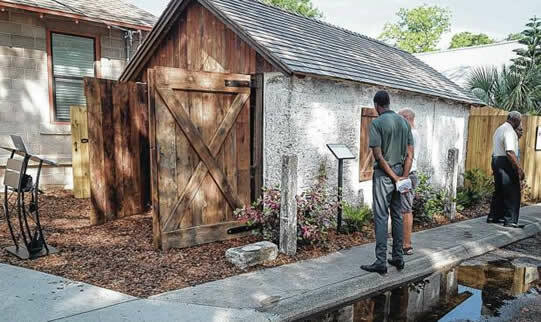 People gathered for a dedication of the restoration work on St. Johns County’s only remaining slave cabin on Monday, May 22, 2017. The restoration project was funded by a grant from Northrop Grumman Corporation. The ACCORD Civil Rights Museum opened on July 2, 2014, to commemorate the 50th Anniversary of the passage of the Civil Rights Act of 1964. 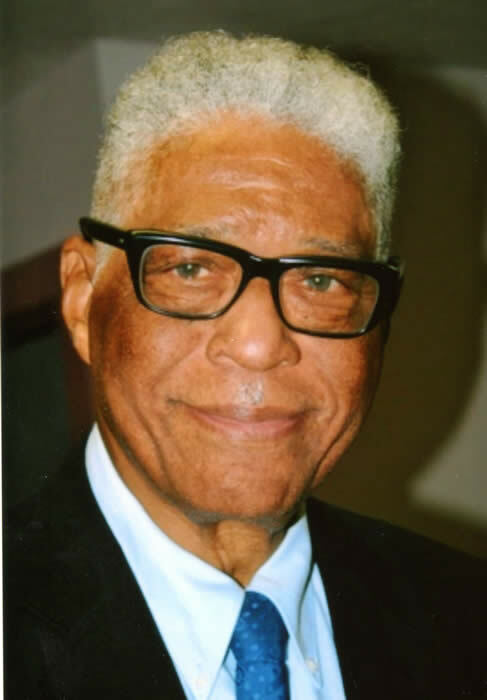 The museum is located at 79 Bridge Street, the former dental office of Dr. Robert B. Hayling, "Father of the Civil Rights Act." The ACCORD Newsletter for June 2018 is now available. Click here to download. The ACCORD Civil Rights Museum will host the 2018 West Point Cadets Civil Rights Staff Ride on Wed. May 30, 2018. This event is open to the public and will begin at 3PM. This is the 3rd year the cadets and staff will be visiting the museum. The dedication ceremony for the last standing slave cabin will be held May 22, 2017 at 9:00am. The slave cabin is located at 94 South Street. An additional ACCORD Freedom Trail Marker located alonside the slave cabin will be unveiled during the ceremony. Two young Middle School Teens from Ormond Beach did research on the St. Augustine Four, a group of courageous teens arrested and sent to reform school for a "Sit-In" at the St. Augustine Woolworth Lunch Counter in 1963. The teens came by the ACCORD Civil Rights Museum seeking more knowledge about the St. Augustine Civi Rights Movement. The teens left so inspired and did an exhibit: winning first place on the school and county fair levels. The teens made a return visit to take pictures of the ACCORD Civil Rights Museum and to share their good news. Their exhibit will now move on to the State Level. We wish them well. © 2018 ACCORD, Inc. All rights reserved.